EPFL scientists have stabilized perovskite solar cells by integrating rubidium into them. 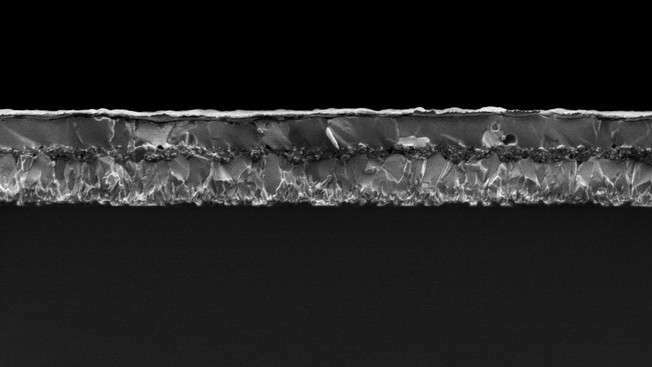 The innovation pushes power-conversion efficiency to 21.6%, ushering a new generation of perovskite solar cells. Perovskite solar cells have great potential for providing us with cost-effective solar energy. However, heat stability is an issue, and can significantly limit the solar cell's long-term efficiency, as the cell's structure can degenerate over time. A solution has been to mix perovskites with other materials, such as cesium, that can improve the cell's stability without compromising its efficiency in converting light into electrical current. The work is published in Science. Michael Grätzel's lab at EPFL has now integrated rubidium cations into perovskites, maintaining exceptional stability over 500 continuous hours in full sunlight at 85°C, while pushing power-conversion efficiency to a reported record value of 21.6%. The lab has already submitted a patent based on their innovation. The project, led by postdoc Michael Saliba, also showed that perovskite cells built with rubidium make available voltage close to the so-called "thermodynamic limit", which is the theoretical maximum efficiency of converting sunlight to electricity. "This paves the way toward an industrially deployable, new generation of perovskite photovoltaics," says Saliba.